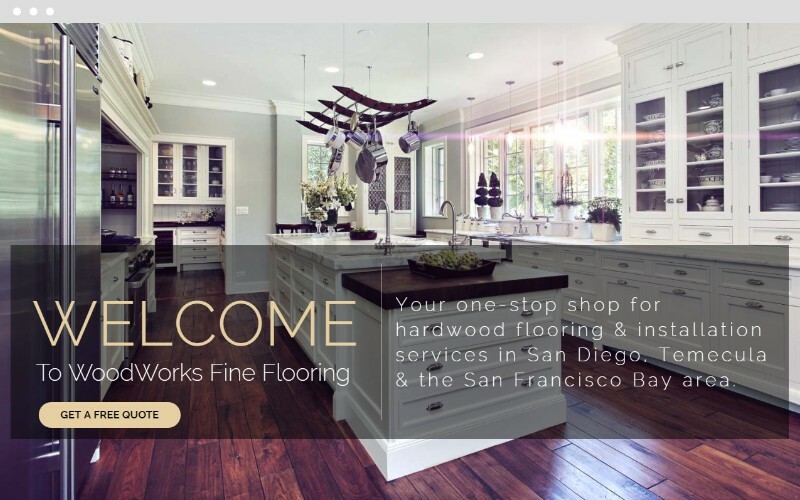 WoodWorks specializes in wood floor sales and installation services in San Diego. 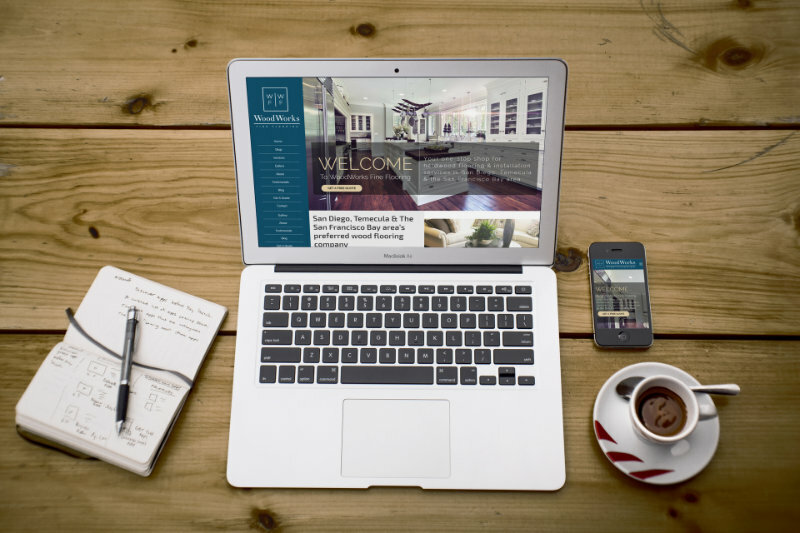 When they initially contacted us, they expressed how displeased they were with their old website. They mentioned that it looked outdated and that it wasn’t doing them an favors in the sales department. We were happy to help. 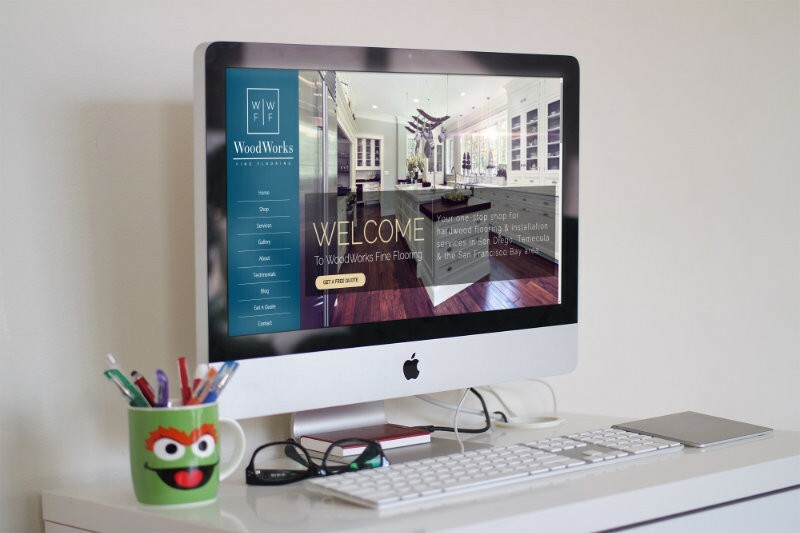 The WoodWorks team had a few basic ideas for the website, but for the most part, they let our team dream up the design. 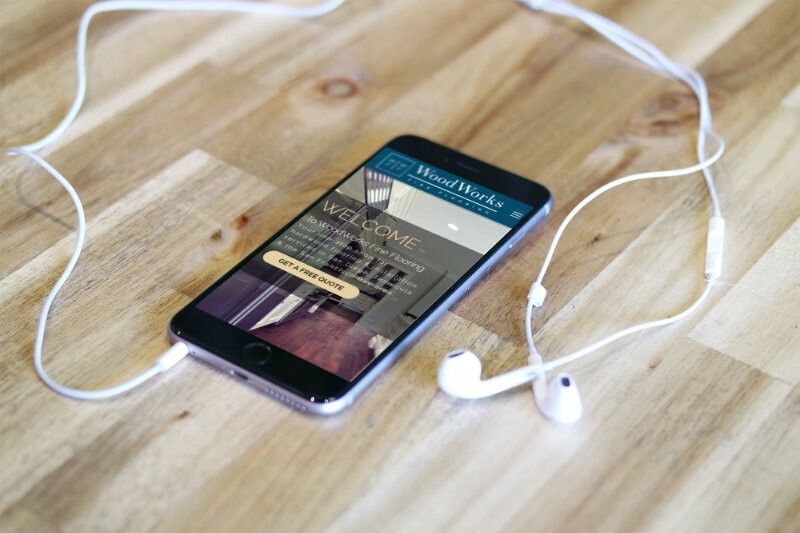 The one request that the WoodWorks team really wanted was a side menu bar (instead of a menu bar that sits on the top of the website). We agreed that due to the number of menu items they had, that a side menu would work very well. We put together a design that focused on clean, high definition imagery to illustrate the luxury of their floors. We incorporated elements of their brand’s dark blue color and elements of wood throughout the website as well. 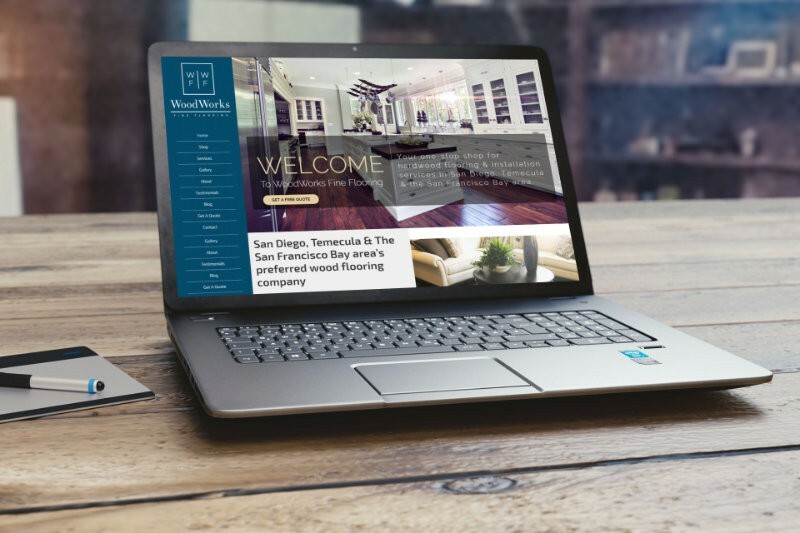 We also setup a full-featured online store with online checkout functionality so WoodWorks customers could purchase their floors online.